Every now and then, the stars align to create a film that is so ridiculous that it just begs to be seen. 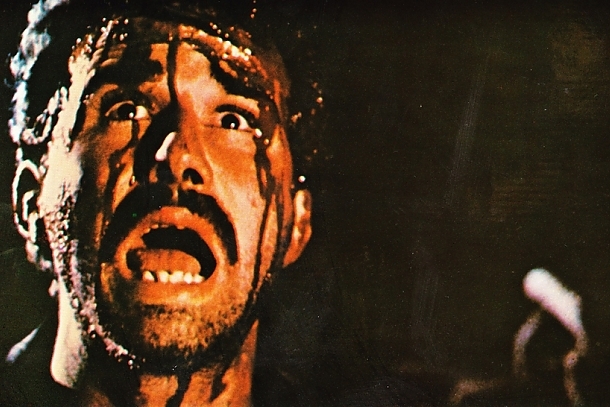 Miami Connection, the latest cult movie sensation that is hitting the midnight theater circuits, is a prime example of this. I dare you to name another film that features motorcycle-riding ninjas, middle-age thugs and an 80s New Wave band that also happen to be experts at Tae Kawn Do. The mastermind of this film, director/writer/lead Grandmaster Y.K. Kim, gathered a group of his friends (including one who is a dead-ringer for Michael Phelps), all of whom had no prior acting experience, to create a film that serves as a ringing endorsement for Tae Kwon Do. Kim plays Mark, a member of the New Wave band, Dragon Sound, that seems to have exactly two songs to their name (and yes, we hear both of them in their entirety more than once). The band is a tight-knit group, performing night-after-night while also living together. They are BFFs, yo. Dragon Sound gets a gig as the house band of a local night club — “somewhere in Miami” — but soon find themselves entangled in gang warfare after the band they replaced seeks revenge. Our heroes are continually harassed by random groups of thugs — including a scene in which the bad guys dump perfectly good beer over their heads — before finally they have had enough and start using their Black Belt Tae Kwon Do expertise to fight back. There are a couple of other inane subplots, including a band member searching for his long-lost father, but they are just diversions from the amusingly choreographed martial arts scenes. It’s clear that Kim and his buddies are quite talented in Tae Kwon Do, and it’s fun to watch them destroy countless bad guys. Watching the four of them annihilate endless waves of thugs never gets old. This movie has all the makings of a camp classic, and it’s full of bad acting, poorly dubbed dialogue, terribly improvised lines, and cheesy special effects. Throw in the ridiculously catchy tunes of Dragon Sound and this is one of the best experiences you can have in the theater this year. 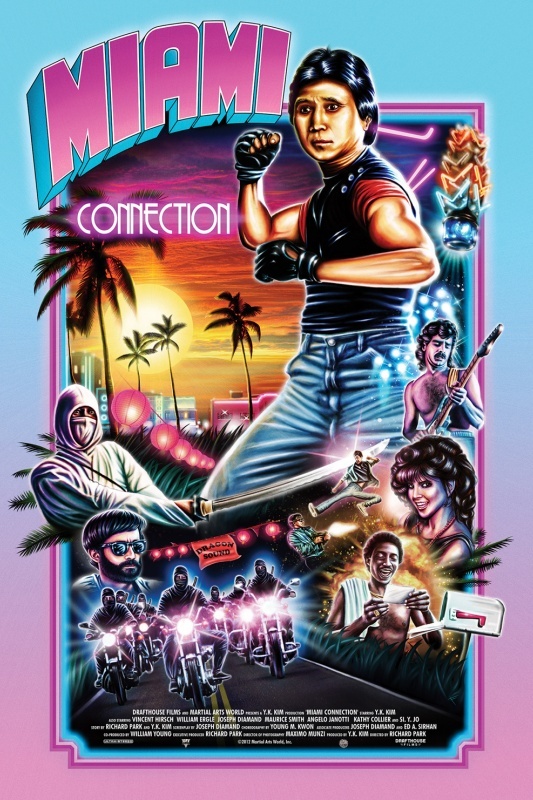 I was a little skeptical about Miami Connection at first; after all, how could it live up to other cult hits like The Room or Troll 2? But as soon as the characters just started talking, I knew I wouldn’t be disappointed. Seriously, this post doesn’t do the film justice at all. If you’re into “so bad they’re good” movies, this is a must see. Great review. I podcasted on this movie a while ago. It’s one of the most fun times I’ve ever had watching a movie. Thanks, Dave. I’m hoping more people are able to check this out since it’s doing a small theatrical run soon. If you enjoy “so bad they’re good” movies like The Room and Troll 2, this is a must see. This sounds like it could be a bit of goofy fun. Thanks for the heads-up, Eric.